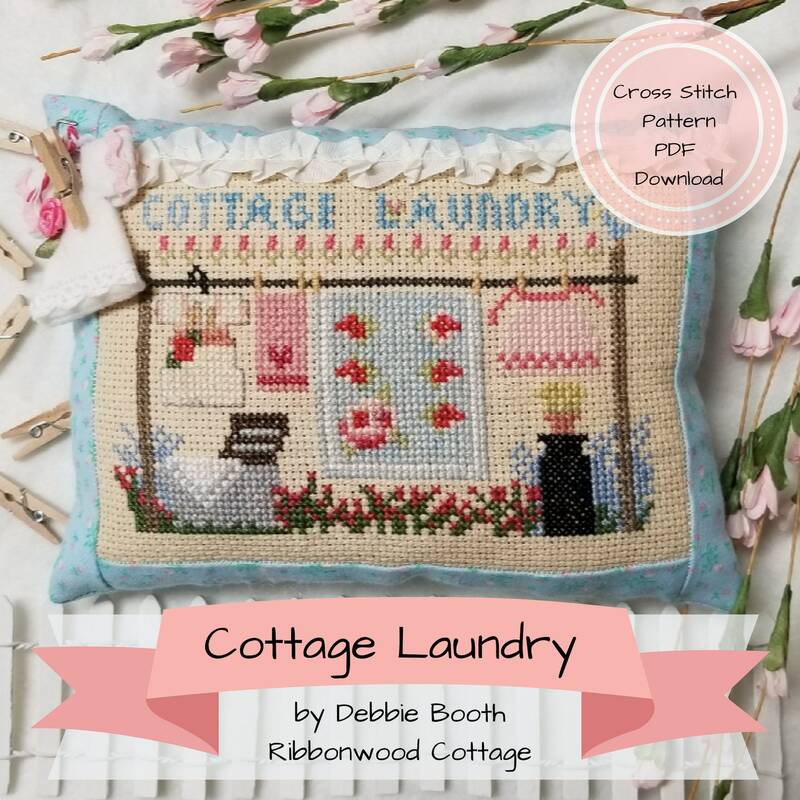 Cottage Laundry cross stitch pattern (PDF digital format for instant download).... reminiscent of days gone by. Beautiful linens and quilts hung out on a clothesline on a spring day. Flowers blooming everywhere....My grandmother had an enormous clothesline which she hung laundry on for years. With 10 children, she did a great deal of laundry. 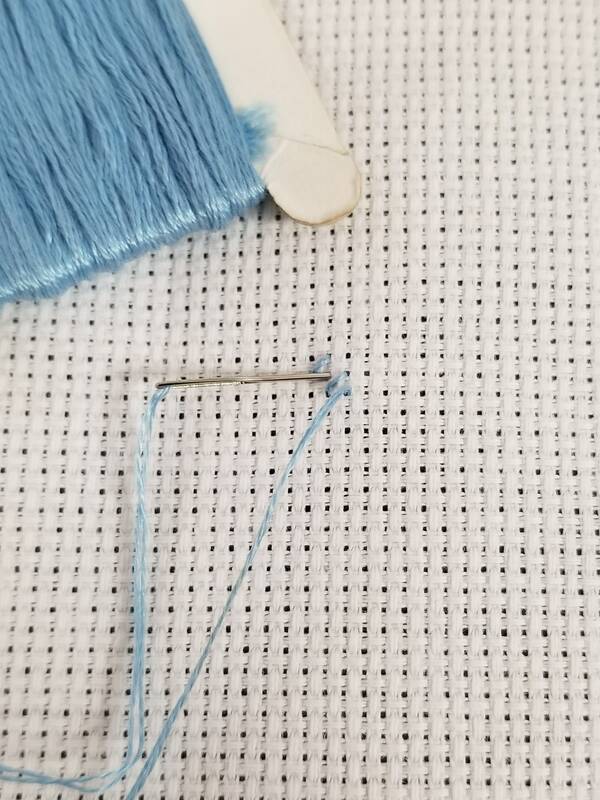 As a young girl I vividly remember her clothespin bags. She had one filled with clothespins on each line. I was fascinated by this. She made them herself and they were all beautiful. Each one was made from different but beautiful cotton print fabric. It made quite an impression on me! 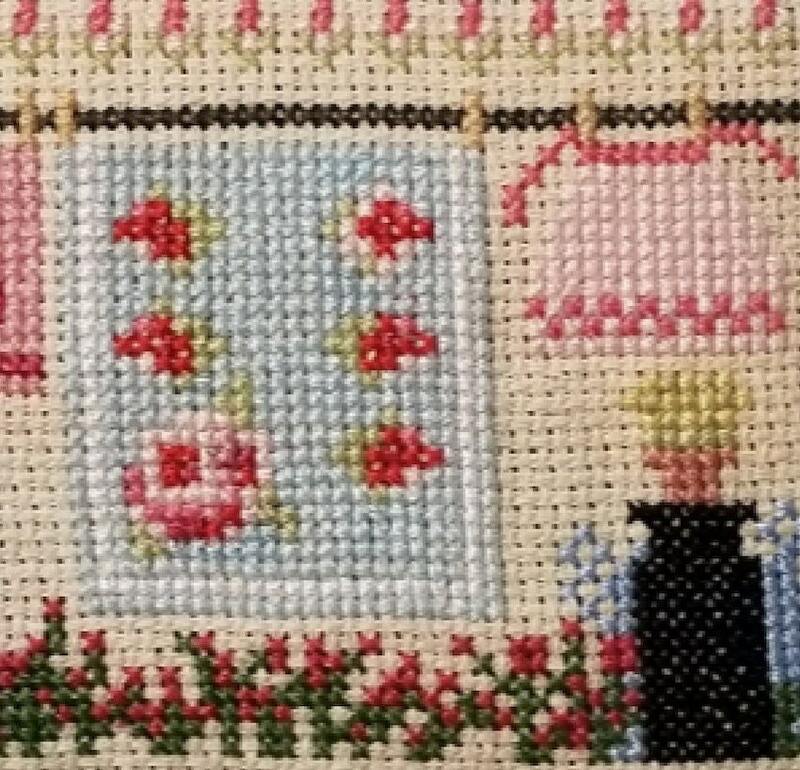 As you will see in this cross stitch pattern there is a clothespin bag. 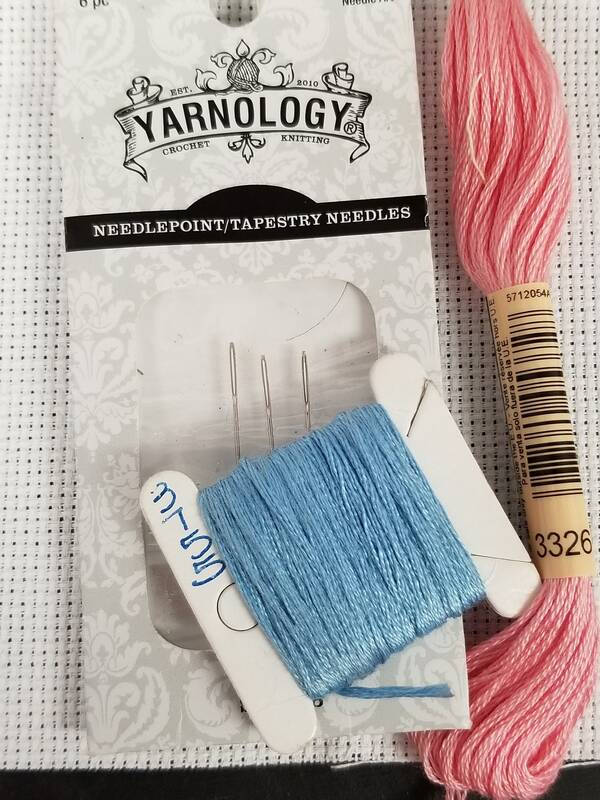 I also made a little felt clothespin bag as an added embellishment to be pinned if desired on the corner of this pillow. 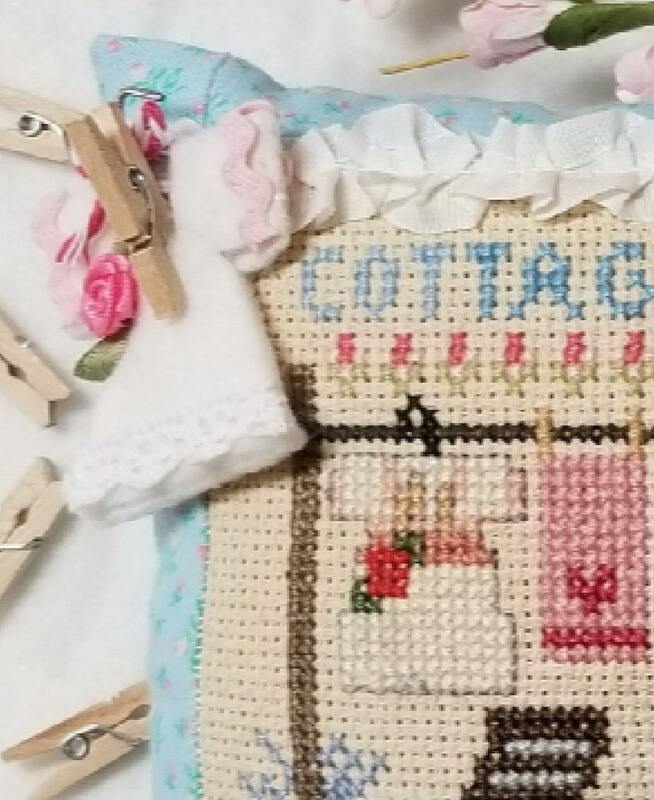 I've been a cross stitcher for over 30 years and I'm taking my love of quilts, cottage style decor and cross stitching and blending them together. I dreamed of this pattern while laying in bed one night remembering my days with my grandmother in Missouri. 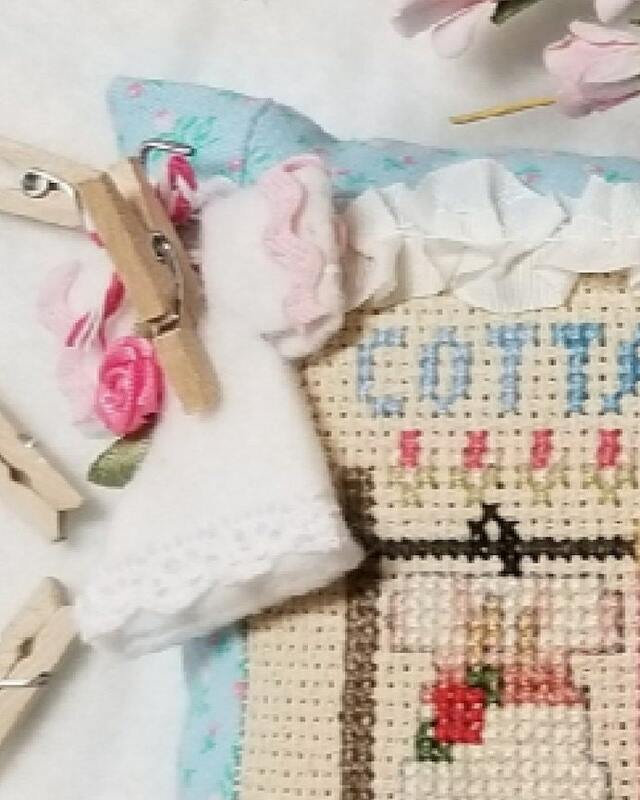 She was a quilter, and her home was filled with fabrics, an old sewing machine, quilts, metal tins and glass jars that were filled to the brim with buttons and old jewelry. I was smitten. I remember spending hours funning my tiny hands through all those buttons! 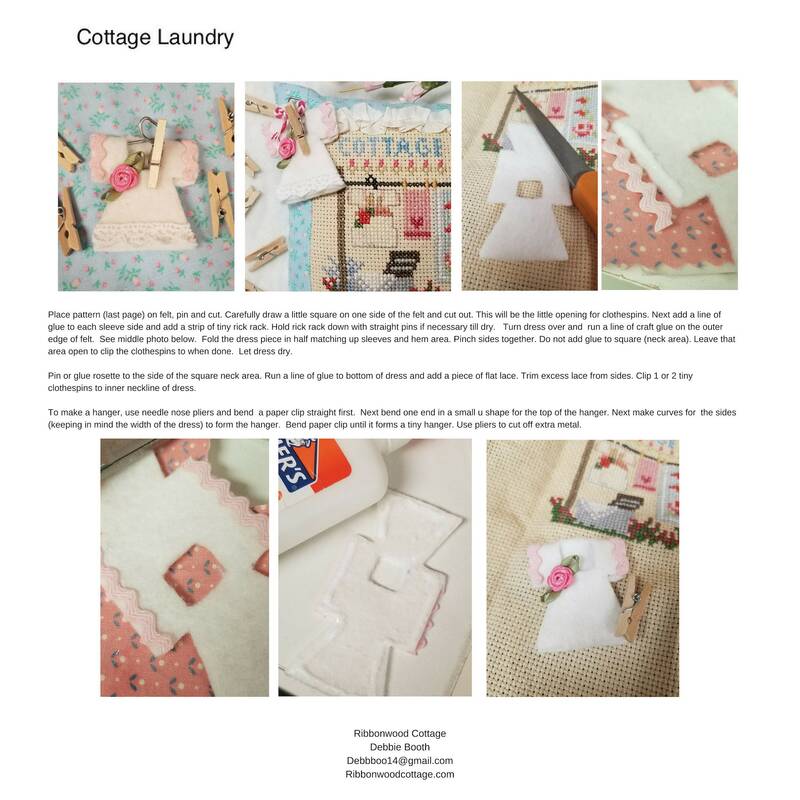 On her clothesline were these wonderful clothespin bags that she had made using her beautiful cotton prints. 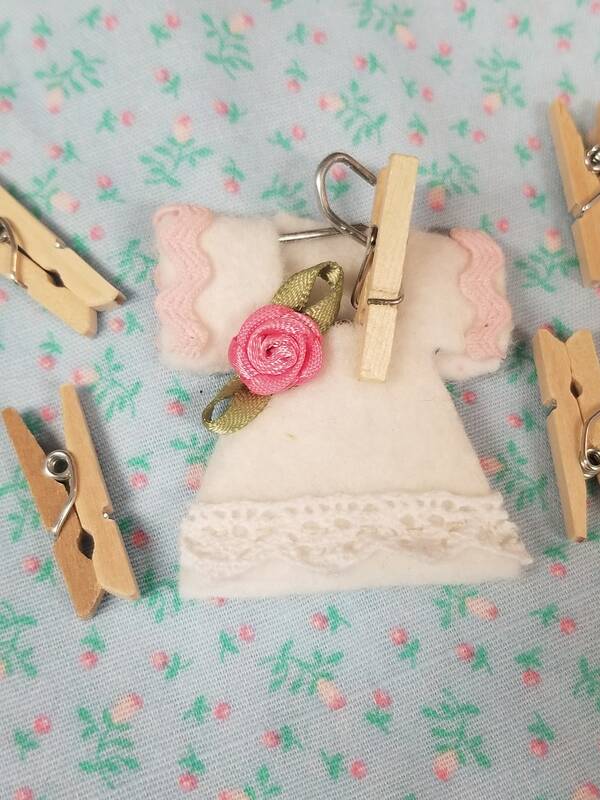 She had made several of them and I thought they looked like doll clothes. Again I was so mesmerized by her creations from fabric. The clothesline was so tall I couldn't even reach the top of it to hang something on it. for tea dying is included as well. Finished pillow measures 6" x 7 1/2"
Stitching area measures 3 1/2" x 5 1/2"
*You will receive a link once your transaction is completed for this pattern. You will not receive anything physical in the mail.